Collectively, the four previous parts of this article series have given readers an overview of (1) common issues faced when using an inspection data management system (IDMS) and their typical causes, (2) the process and key considerations for selecting an IDMS, (3) options when critical functionality is missing, and (4) how creating a data management standard helps mechanical integrity teams to more efficiently and effectively manage safety, compliance, and risk. In this fifth and final part of this series, readers will learn the key obstacles faced in an implementation project and what measures can be taken to help prevent and mitigate their impact. 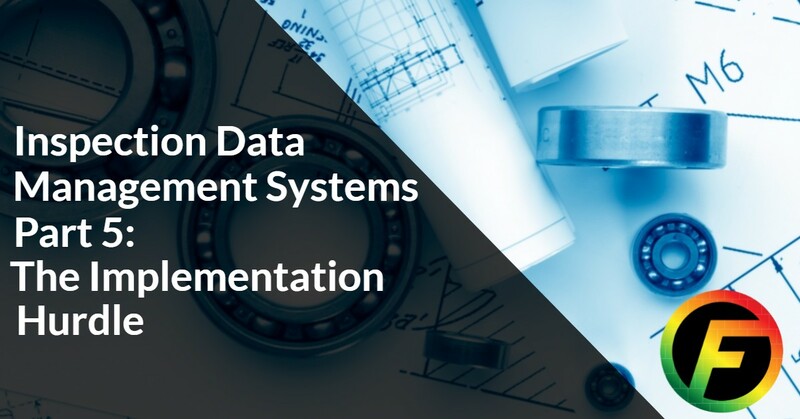 For this discussion, the implementation will be limited to simply installing the IDMS, building the data set, and configuring it to function as needed. However, more complex implementation projects may include automated interfaces with external tools used for risk assessments, financial analyses, and work management, or connection to bolt-on tools such as data visualization and mobile data collection platforms. For individuals, installing a software application is often a very straight forward process. One simply clicks through the necessary screens to install and it’s done. There are rarely any major issues. However, for companies it can sometimes be a bit more difficult. Compatibility between a combination of various software applications and hardware items is always a potential concern. Also, any changes to live environments could have a knock-on effect to other previously installed applications. Poor planning prior to creating both the testing and live environments can cause unnecessary costs and negatively impact the implementation schedule. As we saw in part 2 “Selecting the Right IDMS,” early identification and engagement of key stakeholders will help the project team to identify these risks and ensure that no unforeseen issues arise during this late stage. The simple act of entering information into an IDMS can also be problematic at times. If the source data is not already in an electronic format, e.g. all historical records are stored in paper format, the time and cost associated with data entry activities can be quite high. It may be worthwhile for implementation teams to consider scanning these paper records and using one of the many tools capable of reading PDFs and placing that information in a more useable format such as MS Excel. These tools obviously introduce an entirely new set of concerns about data quality, as one might imagine, so thorough testing and careful planning will be required. When information is already in an electronic format, data mapping becomes a much larger concern. The required information must be migrated to the new IDMS in a manner that (1) allows the software to fully utilize it, (2) allows users to build the necessary queries to meet corporate reporting requirements, and (3) is swift, efficient, and cost effective. The first two can be accomplished by creating a Data Management Standard outlining how the data will be entered and managed within the system. This will require a solid understanding of how the application functions to process the data as well as how users need the information structured so that information reported from the software is consistent and accurate. The efficiency and cost concerns can be mitigated by using ETL (extract, transform, load) tools which structure and automate the movement of data from the source to the IDMS. While it is clear to see that there are still many technical obstacles even in this final implementation stage, it is not a technical obstacle that presents the biggest challenge. Perhaps the largest hurdle to overcome is related to human behaviors. Technical challenges are always difficult, but with enough planning and communication can be avoided or more easily overcome. Changing the culture and habits of team members, however, usually requires the greatest level of effort. As readers saw throughout the previous 4 parts of this series, following a proven process that includes obtaining early stakeholder buy-in, selecting the right tool, ensuring functionality alignment with company processes, documenting standardized data management requirements, and creating a robust role-based training program will go a long way toward proving the value of the new system. This, in turn, will minimize any internal resistance and ensure a successful implementation.